Nikon has released a new affordable, fixed focal length AF-S micro lens for Nikon DX-format cameras. 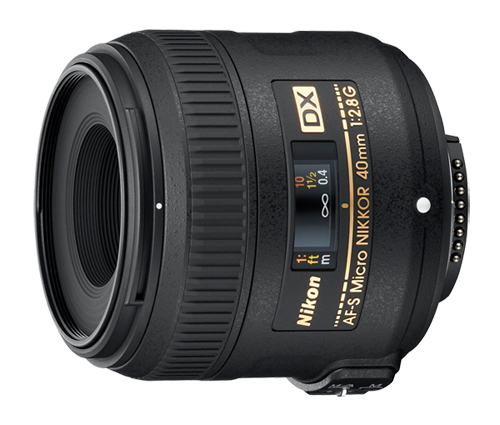 The new prime lens is a Nikkor 40mm f/2.8G Micro lens with an AF-S Silent Wave Motor built-in. With the f/2.8 and rounded 7-blade diaphragm this lens packs, you should expect some bokehlicious macro shots at a very affordable price. Expect the Nikkor 40mm f/2.8G Micro lens to hit stores as early as next month for $279.95. I'll take two please.